The Ministry of Environment, Science, Technology and Innovation (MESTI) exists to establish a strong national scientific and technological base for accelerated sustainable development of the country to enhance the quality of life for all. The overall objective of MESTI is to ensure accelerated socio-economic development of the nation through the formulation of sound policies and a regulatory frame work to promote the use of appropriate environmentally friend, scientific and technological practices and techniques. “Resource Recovery - Made in NRW” is a technical program aimed at participant tandems, that is, recycling planners, along with their managers, of both public authorities and private companies involved in the waste management sector in Ghana and Kenya. The project also encourages the establishment of recycling collaborations between Ghana, Kenya and NRW. Dealing with the rapidly increasing volume of plastic waste in Ghana presents the country with a major challenge, and the possible solutions to date have not been sufficient. 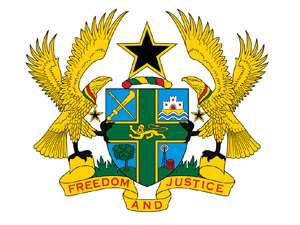 The Ghanaian Government therefore intends to develop a strategy to address the issue of plastic waste, calling upon the experience of its German partner state, North Rhine-Westphalia, in the process.